Look no further! 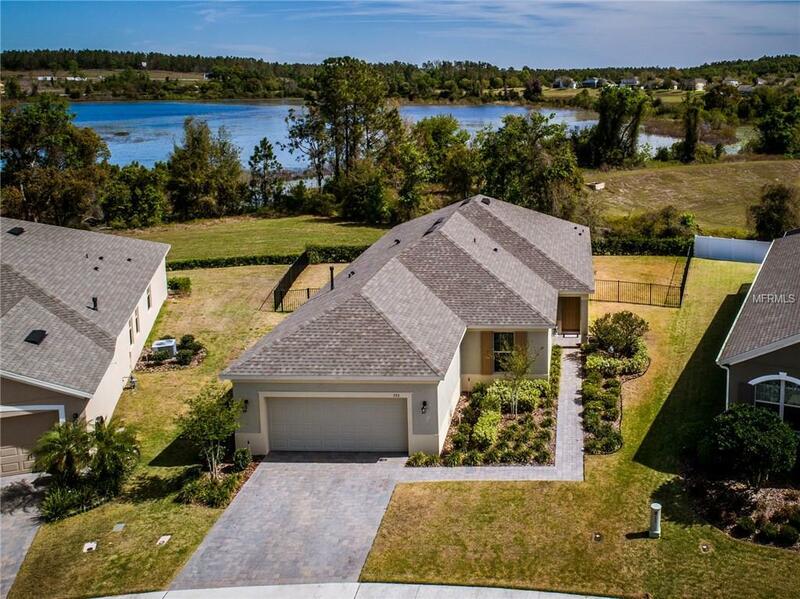 Located on a premium lake view lot in the new sought after community of Highland Ranch, you can enjoy the privacy of having no rear neighbors as this property backs up to a huge retention area. This 3 bedroom/2 bath home shows like a model with some gorgeous upgrades and is move-in ready now. Upon entry, you are greeted by the incredibly open and spacious living areas which feature neutral tones, upgraded 18 tile floors, volume ceilings, and elegant fixtures. The living room is HUGE and offers a perfect entertaining space. Step into the open concept gourmet kitchen which showcases plenty of custom 42 cabinets and gorgeous upgraded granite counters, including the MASSIVE center island which provides even more storage and a full length breakfast bar. The kitchen opens to the dining area which has a great views through the oversized sliding glass doors to the back of property. The master bedroom can easily accommodate a king set and features a large walk-in closet. The attached ensuite is a spa-like escape featuring large soaking tub, dual split vanities, and separate glassed shower. Down the hall you will find 2 more generous bedrooms, full bath, and inside utility room with basin sink. Out back is a screened and covered lanai with elevated views of a generous yard space and neighboring lake. The community offers a SPECTACULAR amenities package. Complete with swimming pool, pirate ship splash pad, walking and biking trails, outdoor sports courts, fitness, parks and playgrounds. Additional Lease Restrictions Buyer To Verify Lease Restrictions. Pet Restrictions Buyer To Verify Pet Restrictions.